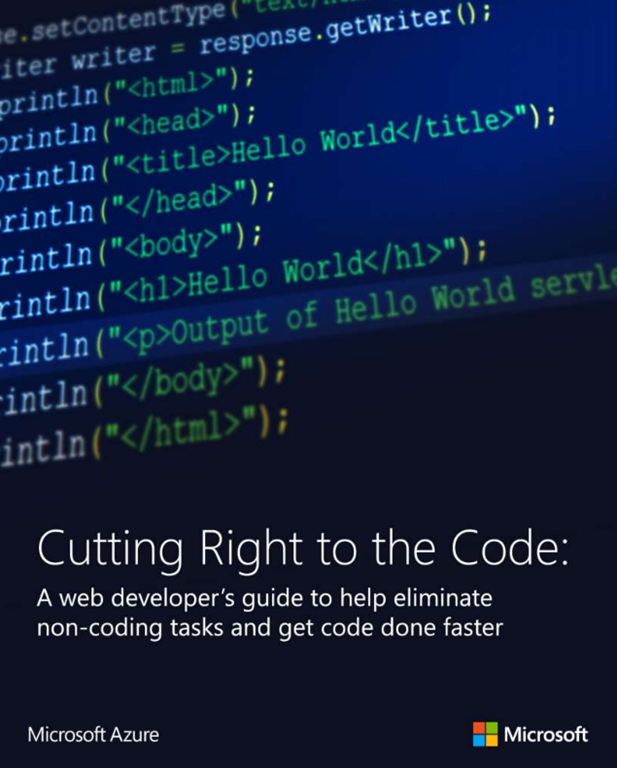 Also download our latest eBook, “Cutting Right to the Code: A web developer’s guide to help eliminate non-coding tasks and get code done faster”. Minimizing your attack surface area with network-level security is one pain point that every web dev experiences. There are also necessary tasks like backups, scale planning, and logging, that cost you precious time too. 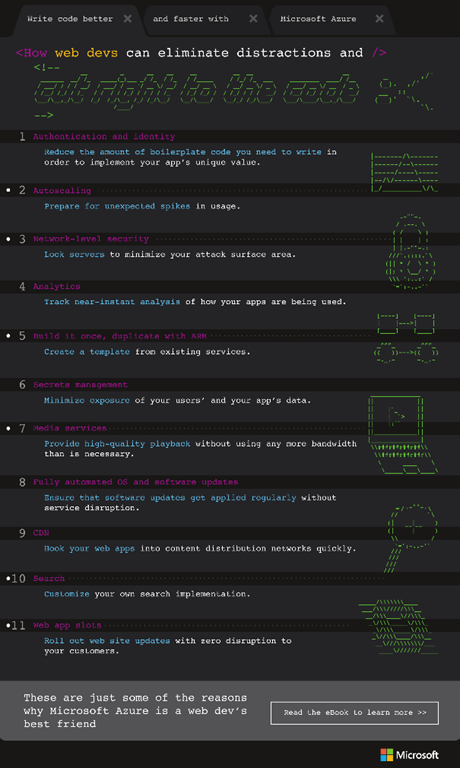 This eBook, along with the included code samples, sample apps, and ARM templates, helps web developers eliminate a number of non-coding tasks and get coding faster. Some of the key areas where you’ll gain insight include identifying usage patterns and trends, hooking into content distribution networks, customizing search implementation, implementing your app’s user and access story, and configuring servers to scale out automatically.